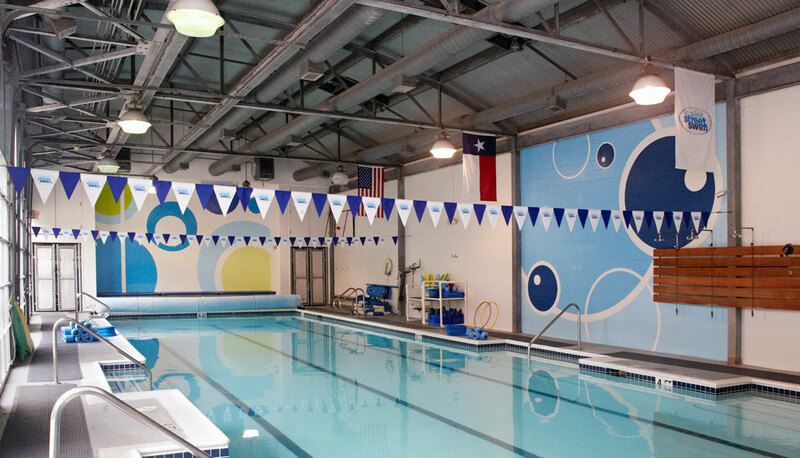 Saint Street Swim is a youth swim school located in the River Oaks area of Houston. 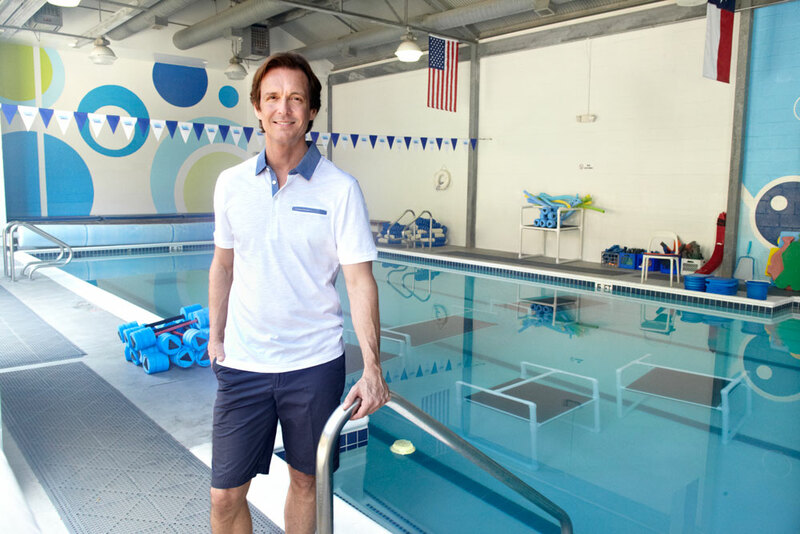 This family-owned facility was opened in 1994 by Chad Neal, a former swimmer with a passion for working with children. A swim teacher since 1991, Chad believes success comes from combining a caring and compassionate environment with progressive and effective teaching methods. Chad and his enthusiastic staff work to provide quality swim instruction. We've made our reputation by providing the finest swim instruction in the city since 1994. The Saint Street Swim Staff encourages all students to progress at a steady and comfortable pace. Our instructors are recognized for their patient and gentle approach to teaching swimming and fostering an appreciation of the water. Each instructor is encouraged to recognize and meet the needs of each child during the learning process. Classes are small with a maximum of four participants per class. All Saint Street Swim instructors are certified lifeguards. Each instructor is professionally trained in our facility to provide lessons from beginner through advanced stroke development. 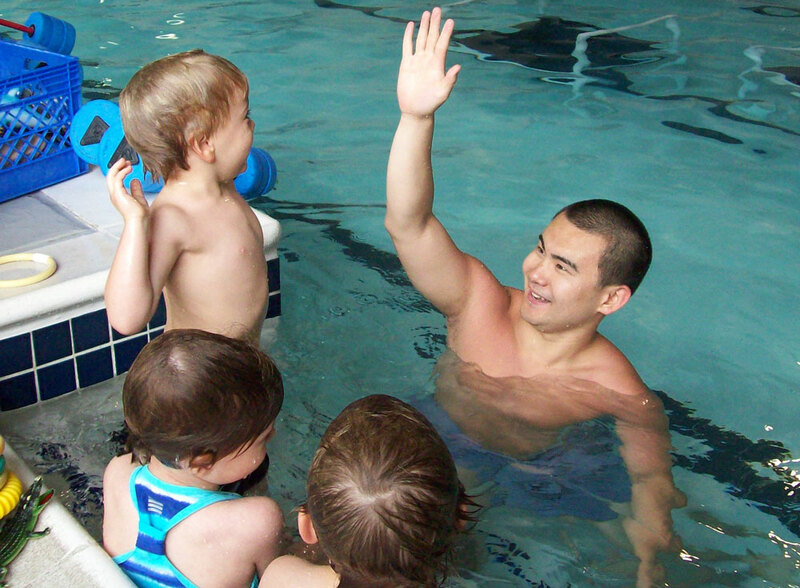 Instructors are highly trained at our facility with a focus on working with beginning swimmers. All staff members have experience in aquatics. All instructors hold current lifeguard and CPR certificates. A lifeguard is always on duty during classes. Saint Street Swim's facility was designed by local architect Kendall Hamman. The indoor, open-air concept natatorium was created specifically as a swim school for children. Our modern industrial building was completed in 1994 and renovated in 2000.